Recently, we reported the Sentry K300 keypad flash drive from DataLocker Inc. What made that flash drive newsworthy? Well, besides its 256-bit AES hardware encryption, it has an industry first -- an OLED screen. While entering a passcode into keypad on a flash drive is cool, Lexar has a new drive that makes it look like old hat. The JumpDrive Fingerprint F35, as it is called, uses biometrics for decryption. Much like the fingerprint reader found on a smartphone, you can use your finger to unlock the flash drive. How cool is that? 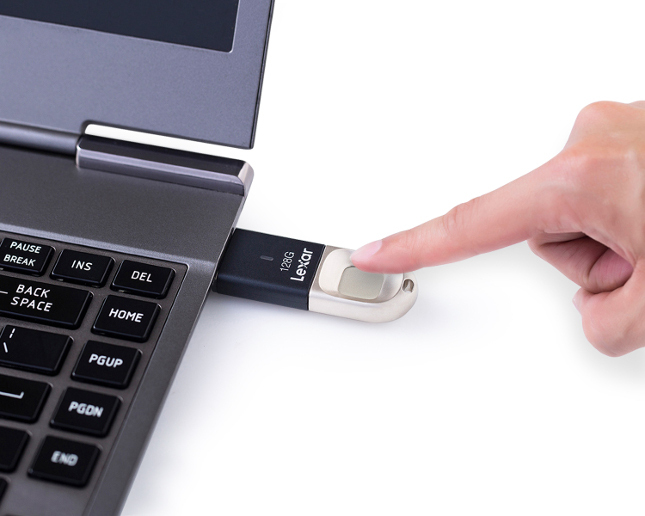 "One of the most secure USB 3.0 flash drives available, Lexar JumpDrive F35 uses an ultra-fast fingerprint authentication that allows you to protect your data against unauthorized users -- in under one second so that you will have no discernible impact on workflow. The F35 can save up to 10 fingerprint IDs, making sure only you and your closest collaborators have access to your files. It also boasts an easy set-up with no software driver required, so you can quickly start transferring your files with speeds up to 150MB/s. And for added peace of mind, it also features an advanced 256-bit AES security solution to protect your valuable files," says Lexar. Joel Boquiren, Director of Global Marketing explains, "The F35 combines reliable and secure data storage with biometric technology to prevent unauthorized access to your files -- adding an extra layer of security for your drive by using fingerprint authentication. It is ideal for business professionals and photographers who require high-privacy protection to meet their needs." 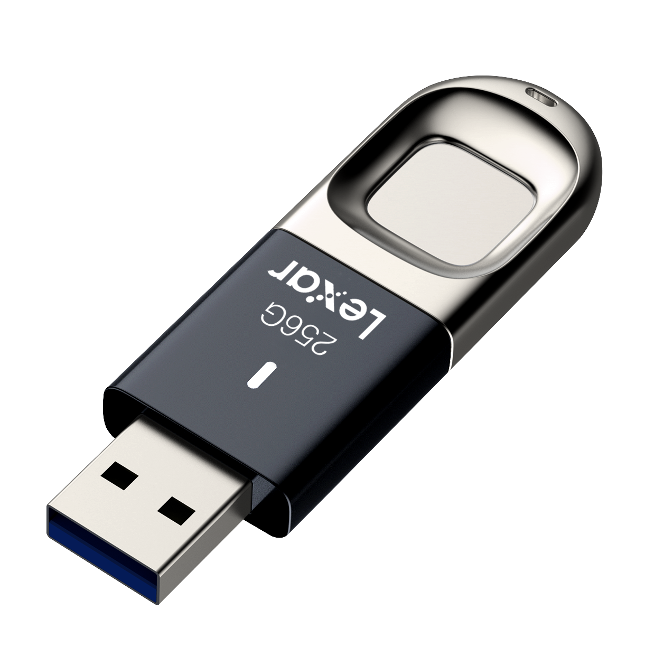 The Lexar JumpDrive Fingerprint F35 will be sold in several capacities -- 32GB ($32.99), 64GB ($49.99), 128GB ($89.99), and 256GB ($169.99). The flash drive will be available later this year.